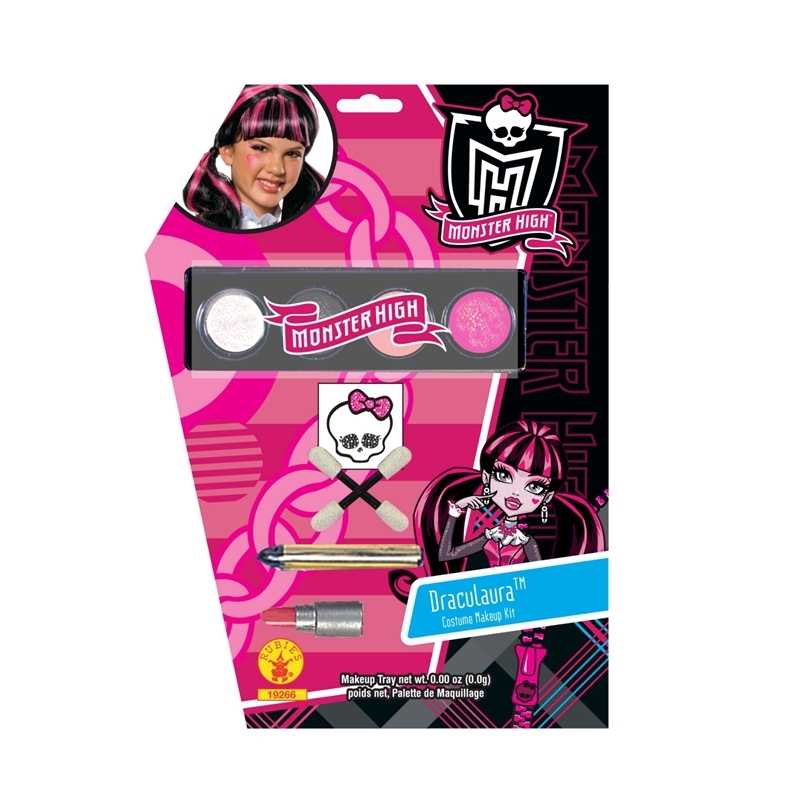 Transform into one fangtastic fashionista with this glittering Monster High Draculaura Makeup Kit! This kit will help take your Draculaura Halloween ensemble to the next level and features a 4-color makeup tray, two sponge applicators, one pink mini lipstick, one black makeup stick and one glitter skullette tattoo. The makeup palette reflects Draculauras own character color palette and includes the colors black, white, fuschia, and coral pink. With all this, it's hard not to go batty!